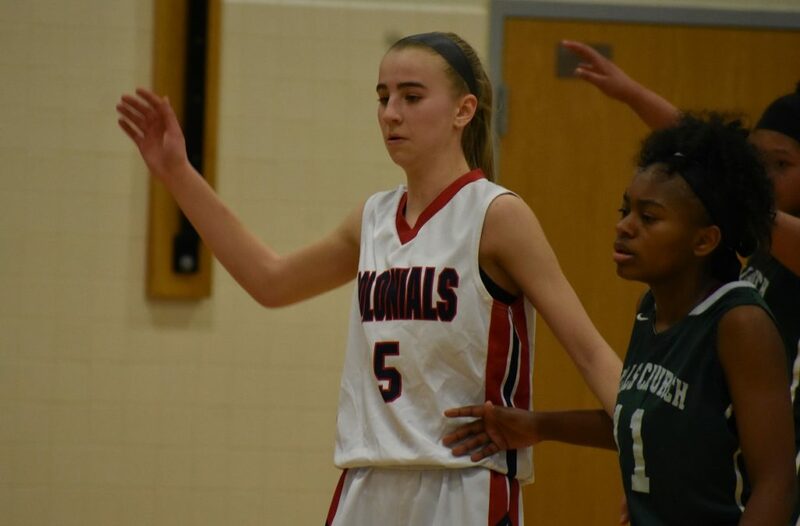 Mallory Brodnik ripped down 13 boards and scored 14 points, most notably the two that came at the very end. Sometimes basketball, and life, can be quite ugly. But remarkable people shine through and that’s what senior Mallory Brodnik did against Falls Church. 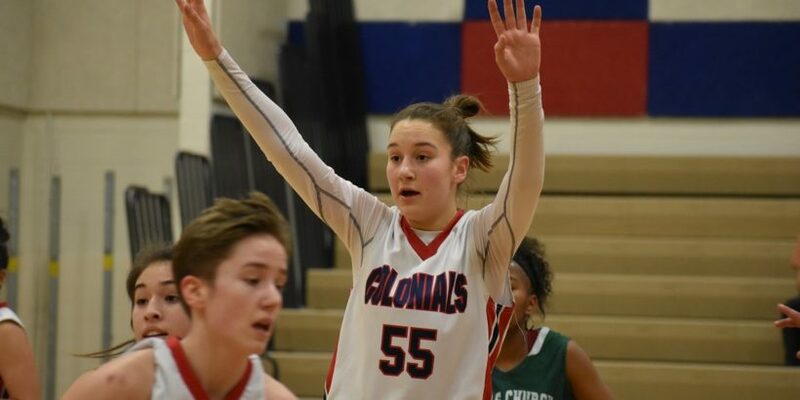 Brodnik’s floater off a pass from Abby Kim as time expired gave host Thomas Jefferson a dramatic 47-46 victory Wednesday night, keeping the Colonials in a tie for second place in the National District. It was a nip-and-tuck game the entire way, with no team able to ever open up more than a couple-possession lead. The offense flowed in the first half with the teams combining for 57 points but the pace slowed down and the game got ugly after halftime. Tied at 45 with two minutes left, the only offense down the stretch prior to Brodnik’s heroics was a single free throw by Sierra Kennard. While Jefferson has traditionally had little depth to tackle opponents, Brodnik had a fair amount of support on this night. Freshman Kailyn Pudleiner matched Brodnik’s point and rebound totals on the night, with both players finishing with 14 points and 13 rebounds. Senior guard Savannah Wilson added 12 points for the Colonials, while Mallory’s sister Erin led the team with three assists off the bench. 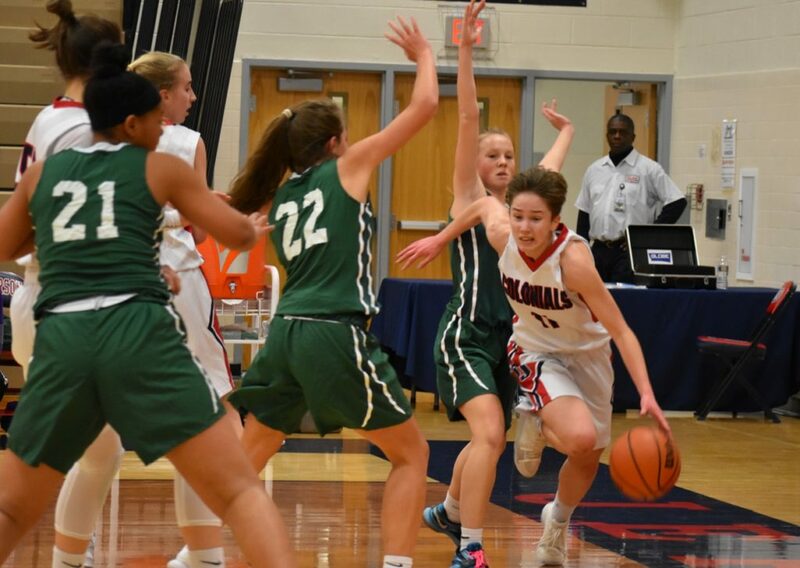 The Colonials’ Savannah Wilson (12 points) drives the baseline. Kailyn Pudleiner had perhaps the best game of her career for TJ. Pudleiner, Erin Brodnik, and Eleanor Kim are part of a promising freshman class that gives Jefferson (5-2, 11-6) hope for future success. But the focus is on right now for Reed’s team, which seeks to not only make regionals but to advance far in the tournament. That possibility depends on no small part on Mallory Brodnik, who constantly has more on her mind than basketball. 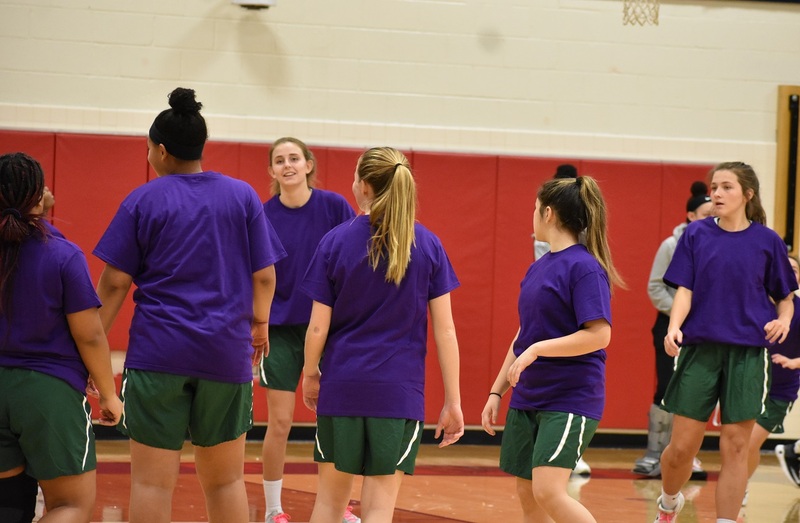 She lost her other sister Kelly to cancer in September, and every point she scores on the court raises money to fight that disease. The Jaguars warmed up in purple to honor Kelly Brodnik. Amari Faust led the Jaguars’ attack with 13 points. 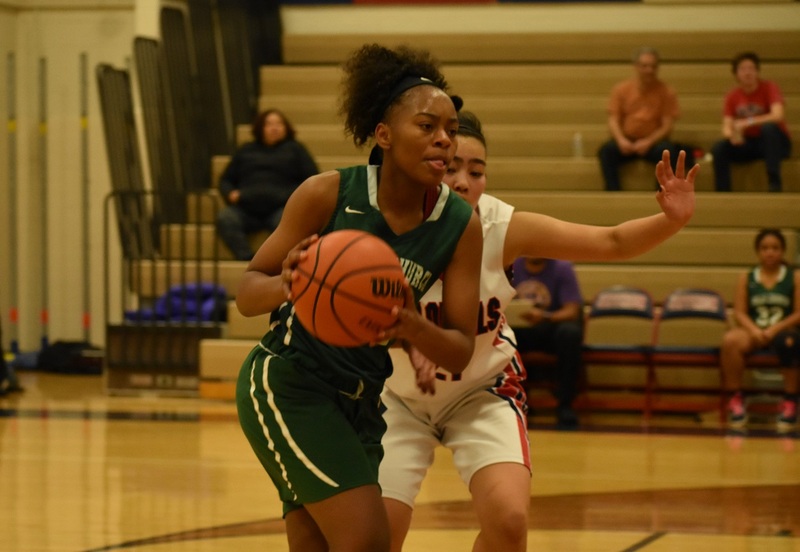 Junior guard Amari Faust led the way for the Jaguars with 13 points, while sophomore guard Sofia Faloni added 11. The senior Kennard had a double-double, with 11 points and 11 rebounds.